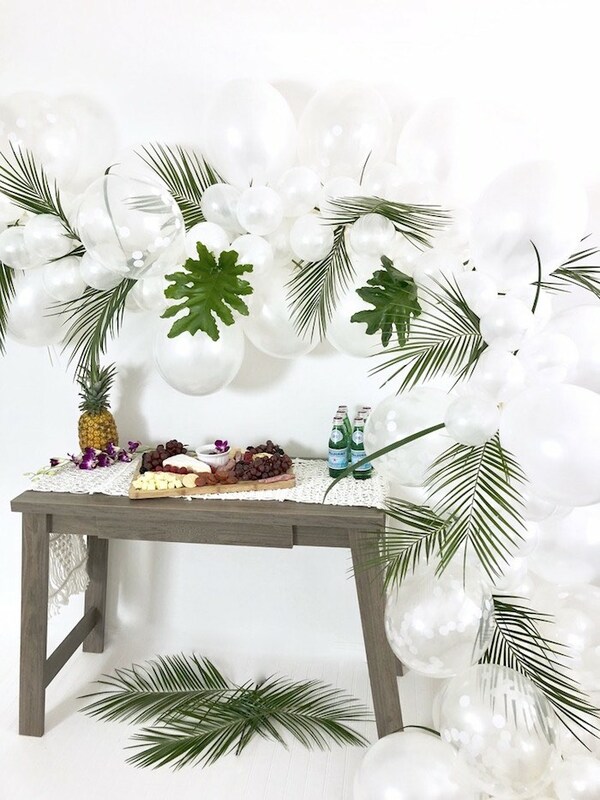 Searching for simple, yet gorgeous summer party ideas? 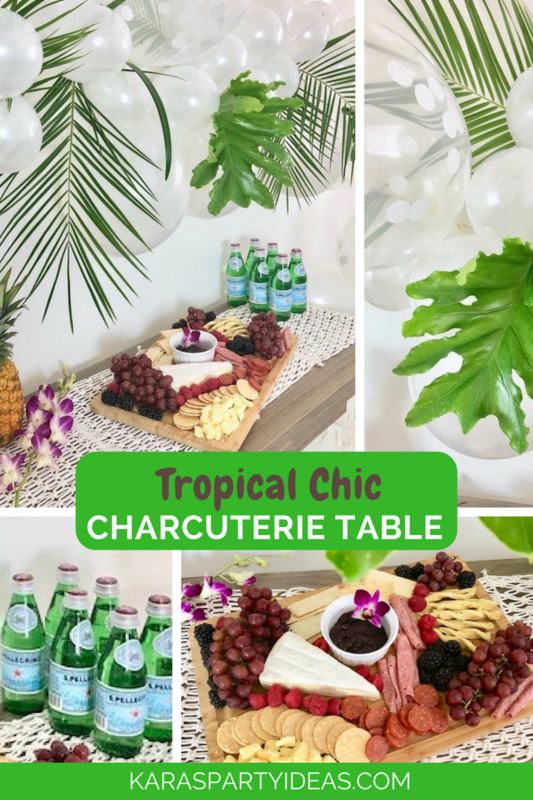 Take a look at this Tropical Chic Charcuterie Table by Lauren Myers of Oh How Charming, out of Naples, FL, USA! 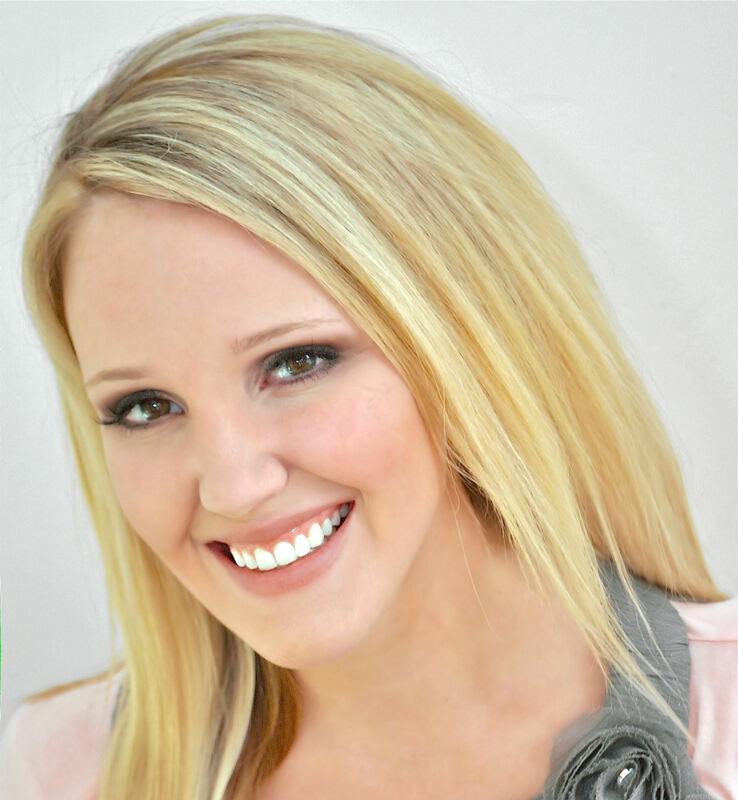 Styled with sophistication and class, this darling event has all kinds on class! “Summer is officially here, even though living in Florida its summer everyday..LOL! Bring on the heat and pool days! 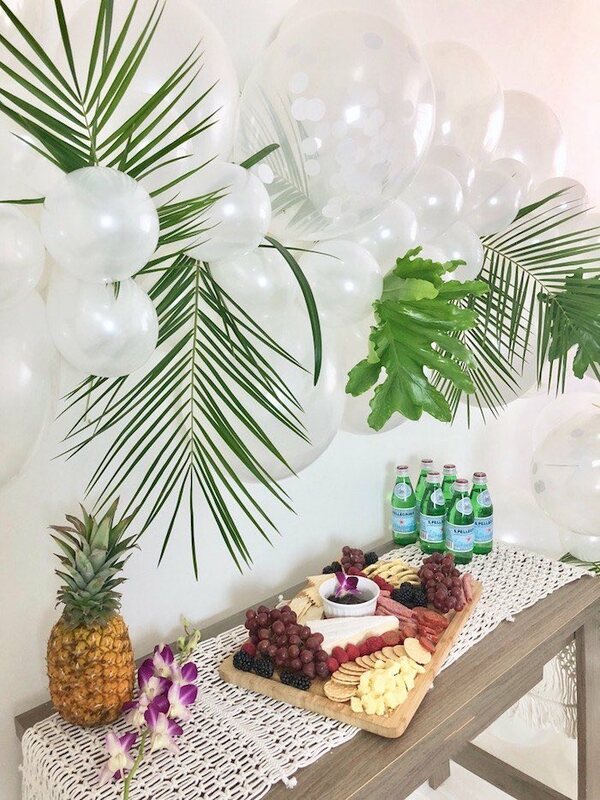 To celebrate summer, I decided to throw a tropical chic party. 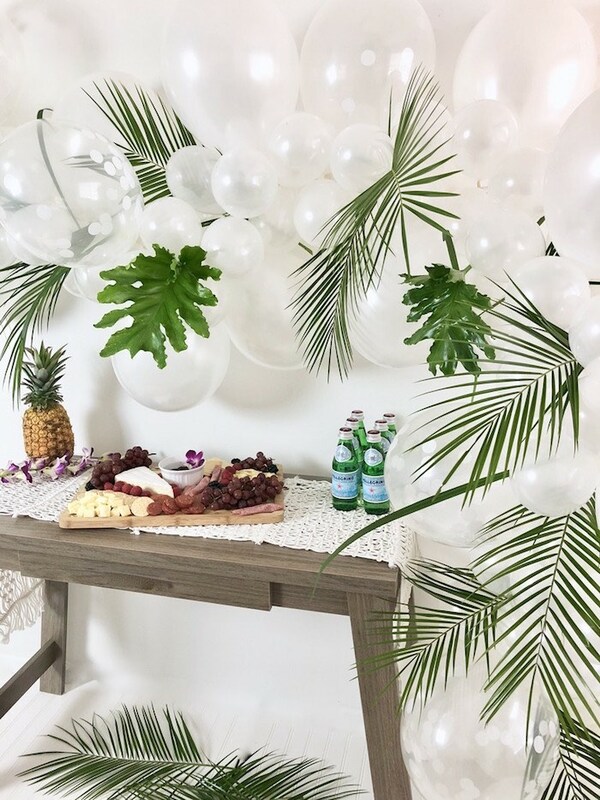 The backdrop for this party was created using a gorgeous white 12ft balloon garland filled with fresh, tropical greenery. 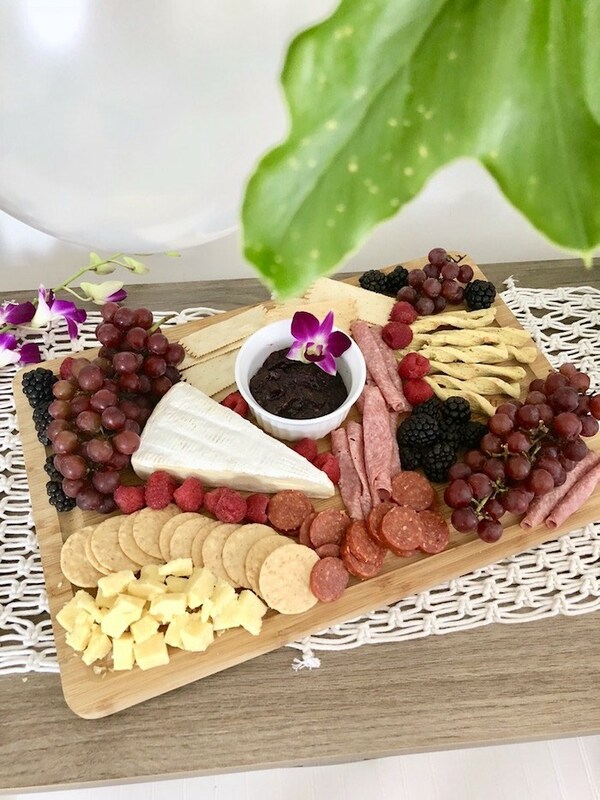 Food was kept on the lighter side with a simple charcuterie board. 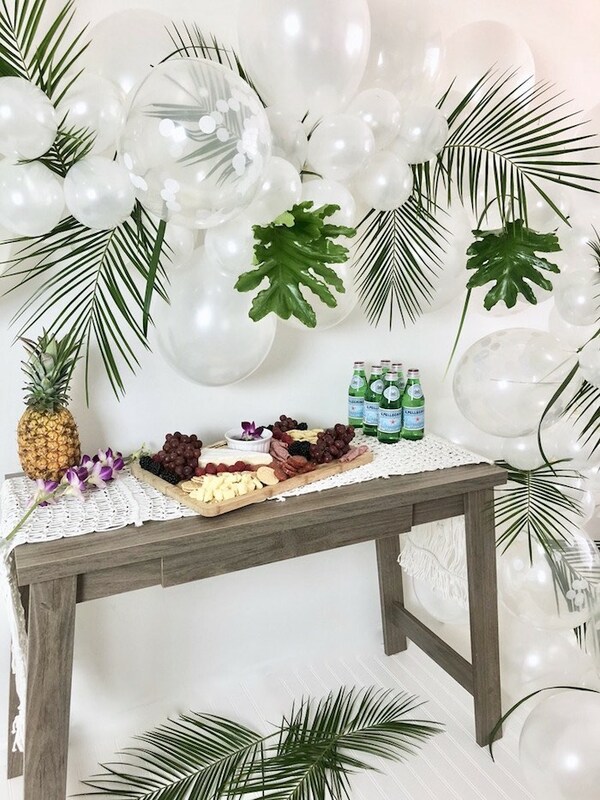 I headed to my local florist to purchase the greenery I would be adding into my balloon garland to bring the tropical vibes to life! I made the 12ft garland with pearl white 11? and 5? balloons along with 11? 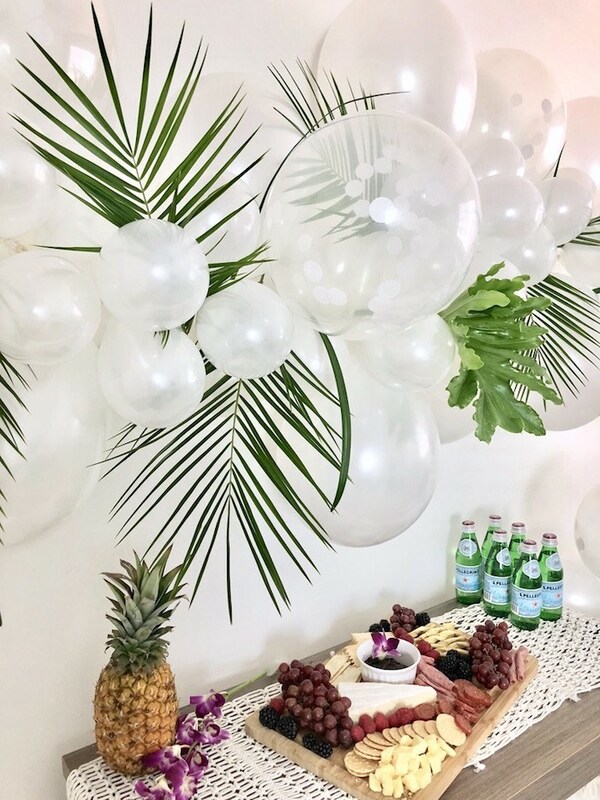 white tissue confetti balloons. You can purchase your own DIY kit here. Once your garland is complete, start by sliding palms into the garland alternating directions. Theres no right or wrong way to assemble your board, just have fun with it! A macrame table runner added a boho touch to the food table. 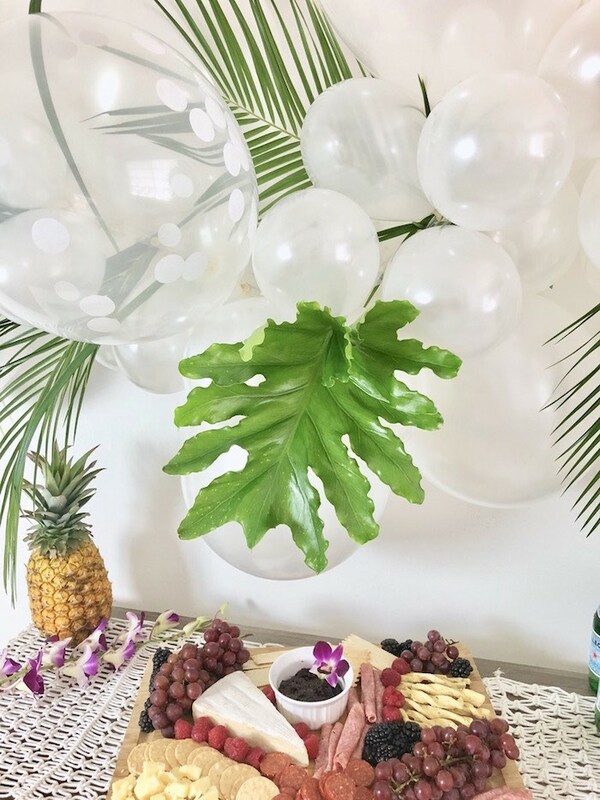 To bring more tropical vibes, I also decorated the table with a fresh pineapple and purple orchid spray. 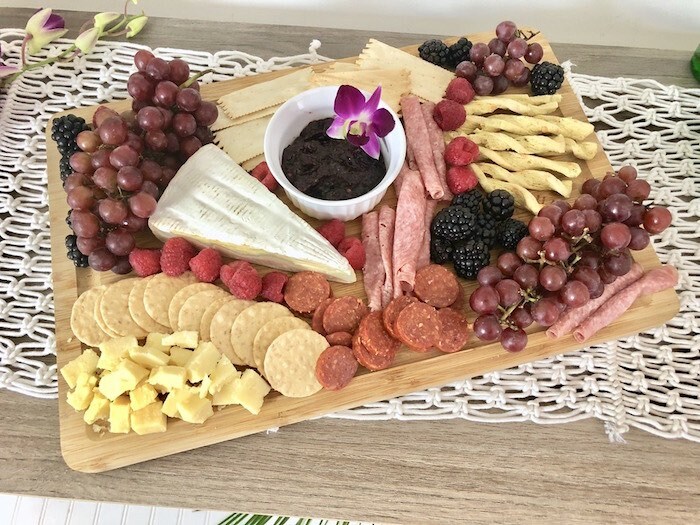 More charcuterie party ideas here!